All The way From Texas our students plan on opening up several wood fired pizza bars and featuring nothing but the best pizza in the world. They mastered the art and loved what they did. 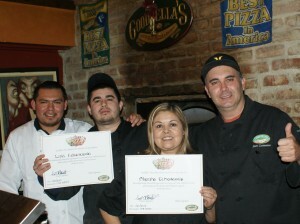 Best of luck look out Texas pizza will never be the same. So when your ready to master the art of pizza there is only one place to go the pizza school of New York.